PDF splitter and merger software is particularly developed for proper management of Adobe’s PDF file. Hence, it can split large PDF file into multiple PDF as per requirement and unite them into single PDF File. Let's data management easily. PDF Splitter and Merger Software work is to combine the PDF as well as to split. It provides four different ways to split the large sized of PDF file these are split by pages, split by even pages, split by odd pages & split by range . 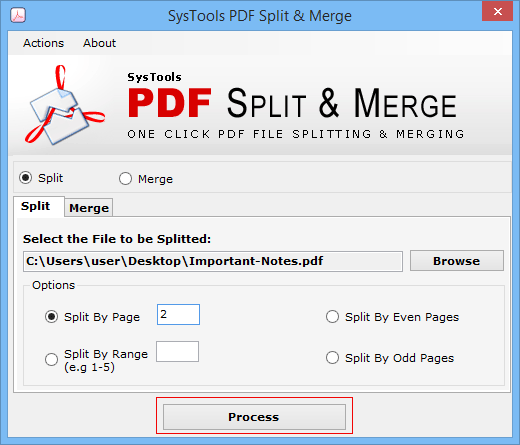 PDF Merger and Splitter Software used to separate the large portable documents file. The software will create single PDF file for each page within the PDF document. At the destination location software will save output PDF files sequentially numbered to make it easier for you to track the pages. Seperate PDF file via even/out count of the PDF pages according to as per user choice. PDF merger and Splitter will maintain the PDF documents content and texture while splitting without any alterations and stores new file at target location. By pdf Merger and splitter Software several PDF files or folder of PDF files can be joined with the functionality to add multiple pdf into single document. This feature adds the benefits of the file management. No changes made to the original file formatting. With this software, user can split and combine pdf files in bulk without wasting the valuable time. Even, this software will reduce the work load as well. Also, the original PDF file will remain as it is. PDF Merger and Splitter supports all versions ranging upto 11.0 of Adobe PDF files. 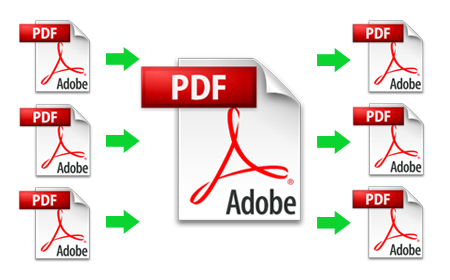 PDF files can be easily split and combine as per user requirement. PDF Merger and Splitter is compatible with all the versions of Windows Operating System i.e. Windows 8.1, Win 8, Win 7, Win Vista, Win XP and all below versions too. 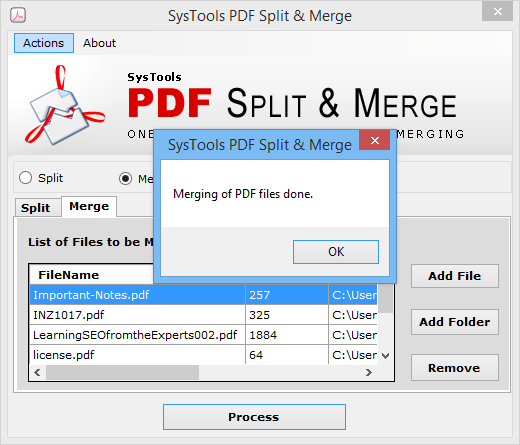 Yes, PDF Splitter and Merger allows the users to Split & Merge the PDF files in batch. Can I split only selective PDF file pages? Yes, PDF Splitter and Merger provides you an option to split the pages with multiple modes like page, range, even & odd. Is it supporting to reassemble all the split PDF file according to ourself? Of Course,our PDF Split and Merge Software allows to arrange the section according to your choice. What is the importance of pdf splitter and merger software ? It will help you to minimize the huge size of PDF file by splitting in to the sections. It also offers you to merge PDF files into one and consume less time. 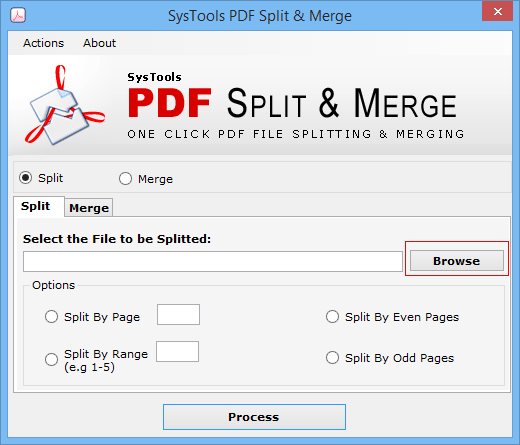 The PDF Split & Merge tool really made it possible for me to manage PDF files easily and effectively. I just had to click a few times to employ the tool for combining PDF files together or divide them into parts. I used PDF Merger and Splitter to combine two PDF files and found it to be just awesome. I am really overwhelmed by the self-explanatory interface with the split and merge PDF software. I am not very good at handling computer files and software applications. But the tool is so user-friendly, it helps to manage PDF files with a smooth and simple process of execution. I was so pleased after using this software, it's very difficult for me to manage multiple PDF files but after sometime one of my friend suggested me to use PDF Merger and Splitter. It combines all my PDF files in one go & you can also split PDF easily. This tool is very helpful. Large number of PDF files have to be mailed to one of my friend i got really nervous. But thanks to PDF Merger and Splitter it helps to combine all my pdf files into single document. This tool is efficient in file management & give best results. Completely satisfied with split pdf and combine tool.